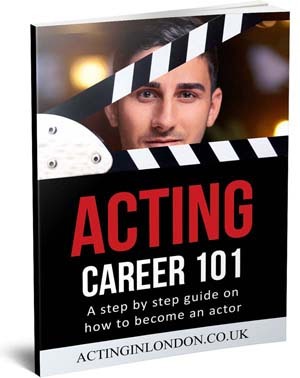 I’ve received some interesting responses for our 5 books every actor must own article. Most of them were opinions from other performers on exactly which books and teachers helped them the most. What I really found curious was actors paraphrasing quotes about “actor’s faith” and “truthful acting“, while at the same time saying how none of the Meisner books really spoke to them. I’d like to take this opportunity to remind our young thespians of some lessons that Sanford Meisner has taught thousands of successful actors and acting teachers that are passing along his wisdom today, and will continue to do so for many years to come. Further in this article, I will address the public unfamiliar with Meisner’s work and hopefully introduce them to it. A disclaimer in advance: We’re not going to focus on Sanford Meisner’s acting exercises but rather his theory of what truthful acting really is. And so as to not rewrite the whole book here (which I would happily do), I’m only going to pick out quotes and leave it up to YOU to understand the meaning. You might notice some familiar quotes that seem to have stealthily blend into the acting craft, but they all came from just one person. 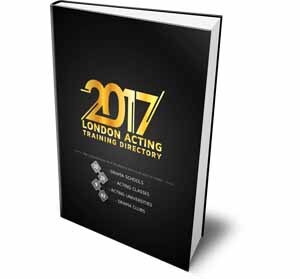 I’m now going to quickly grab my copy of Sanford Meisner on Acting book so as to not screw up those quotes that we all so cherish. Let’s see which three lessons out of a hundred can we pick? 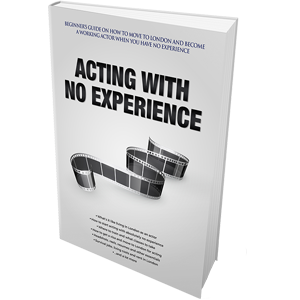 What drives the new emotions into an actor who is ready to absorb? Listening, instincts and impulses. When doing a scene, you do not pick up on cues, you do not wait for the line — you pick up on impulses (something in your partner’s words or behavior that makes your emotions tick). That is what real listening is all about. After you have read this — and if this is your first ever meeting with Mr Meisner — you might have a boatload of questions. Please, read it once again; it takes time to sink in. But most of your questions will be answered in Sandy’s book. You will hear a lot of opinions, especially people saying that William Esper’s The Actor’s Art and Craft is more complete. 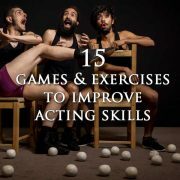 And that is true, when it comes to actual exercises of the Meisner Technique. But nonetheless, I suggest you read Sanford Meisner’s book first, if not for the exercises then for the passion of the craft and understanding of what truthful acting really is. I also want to say that I wholeheartedly believe Sandy was right when he said “it takes twenty years to become an Actor.” Javier Bardem, an amazing Oscar-winning actor says he’s still going to acting classes on a regular basis because he needs to learn how to become good. A lot of our young thespians fail to understand the simple analogy of “practice makes perfect”. Study, learn and practice. But remember, when it comes to acting techniques, there’s no “one size fits all”. 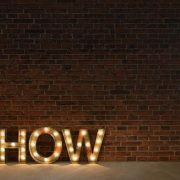 Meisner Technique is not complete — and no method is — but it’s a great foundation for every actor; it’s where you start building your house of talent. 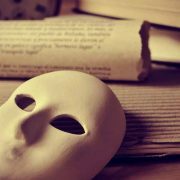 So don’t be an actor “staring through the window on the stage for two months to see the snow”, learn how to live in the scene through your imagination. I now leave you with some words of wisdom from Sanford Meisner and a very inspirational documentary I found of him on YouTube that’s worth watching. This is a very good article and I enjoyed reading it very much. I have come to acting in my fifties and am particularly drawn to the work of Sanford Meisner. I am hoping to study his technique in depth at a good London school and have been looking at The Impulse Company. The main question I have about Meisner was summed up by a Tutor I had on an evening course at Royal Central. She said: “the danger with acting ‘in the moment’ is that the responses become those of the Actor and not the character”. My question then is whether Meisner’s approach is ultimately rather shallow, and does not explore character in any real depth, since the Actor or Actress is only really playing themself. But as I said, I need to find a good school and really understand it fully! Let’s say you’re reading a text, and one of the directions read “it’s snowing outside,” and you’re supposed to react to that. What a Method actor would do in this case is try to SEE the snow. They will do anything to make themselves believe that they are seeing snow. But they will never see it because it’s not there; what they will see is a stage manager, somebody yawning in the audience and the guy who picks his nose. What a Meisner actor would do is BELIEVE that there’s snow in there using the power of their imagination. They will then react based on that EMOTION, based on how “imagining that there’s snow out there” made them feel, and go from there. You don’t have to actually see the snow, you just have to imagine that it’s there and work off that emotion. 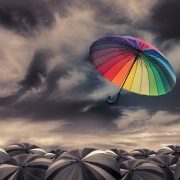 It requires you to train your imagination a lot and be good at improv, but that is why Meisner Technique is the most truthful acting approach we have today. Please, do not fall into the same trap as a lot of other actors who believe in the gimmick that “becoming a certain character” is better than acting truthfully under imaginary circumstances. It’s not. It really isn’t. 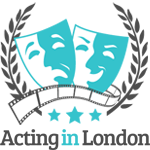 Anthony Hopkins has been trained in traditional ways of acting (non-Meisner) in two different and great UK’s drama schools. He has since adopted Meisner’s approach, and it’s not difficult to tell how amazing he is at it. But in the end, to each their own. 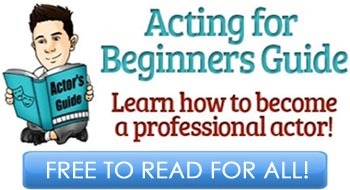 Every actor eventually finds the approach that they are most comfortable with and what works for them, so that is what I wish to you, Clark – explore and find what makes YOU a better actor. Enjoy! “You make it so difficult — acting is easy. You walk in. You look the other fella in the eye. You say the words. But you have to MEAN them.” — James Cagney, while discussing Method Acting with Jack Lemmon. read your ‘top 5 drama schools in London’ and when I couldn’t find what I was looking for, I checked out your top 10 list, and was very surprised to not find ROSE BRUFORD COLLEGE???? I just wanted to express my dismay and curiosity.